Club Penguin Cheats by Mimo777 Club Penguin Cheats by Mimo777: Sneak Peek: August Adventure Party! So the new party is coming really soon! And Club Penguin is really exited to announce another sneak peek! Here is a pic of the Temple of Fruit! Check it out! 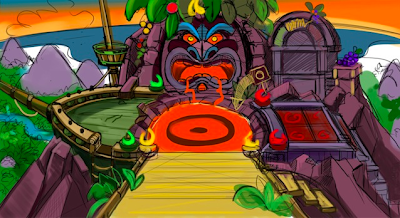 Rockhopper will be coming for the party and will be bringing some new rare items! Stay tuned as that party gets closer for more fun stuff! What are you most exited for about this party!? I hope there's not a member only room.